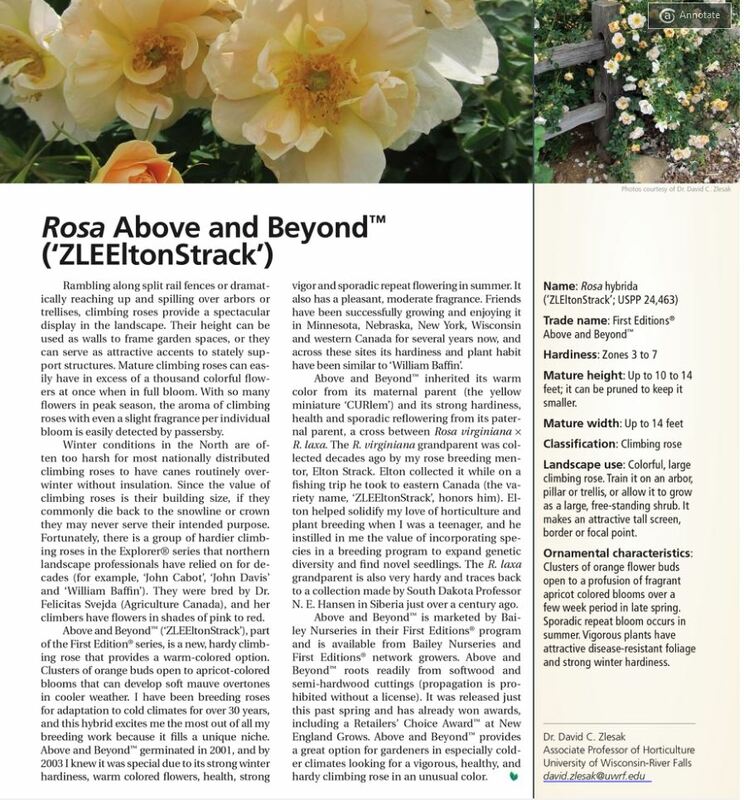 A couple of weeks ago I came across a description of a new climbing rose in American Nurseryman. Here is the description that intrigued me. I got some more information from David Zlesak, the breeder, and this week – one arrived! Thank you so much David. It is a big plant – expected to be about 14’ x 14 ‘, so I’m having it go on the only wall big enough to hold it, fortunately facing South-East. The dark apricot rose should look wonderful against the butter-colored concrete. 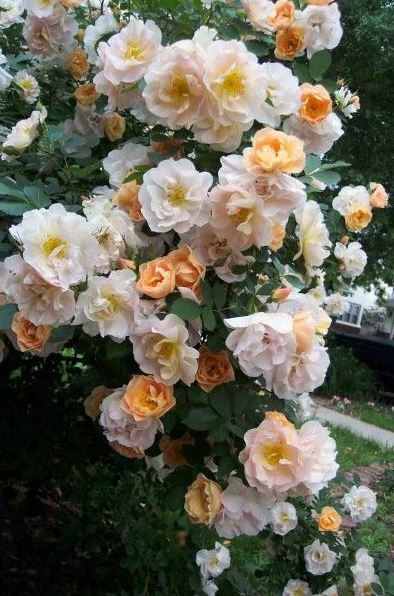 This entry was tagged Above and Beyond, Apricot Rose, Climbing Rose, David Slezak, Rose. Bookmark the permalink. ← Irrigation and dry wells and flooding and Oh My! That’s pretty spectacular, Cynthia. One of my favorite colors in just about anything, but especially roses. I’m sure you’re right about the wall it will rise against. Congratulations.